Lodge Brothers & Boutell Funeral Directors of Byfleet are pleased to announce the appointment of Sophie Monatte as our new funeral arranger. 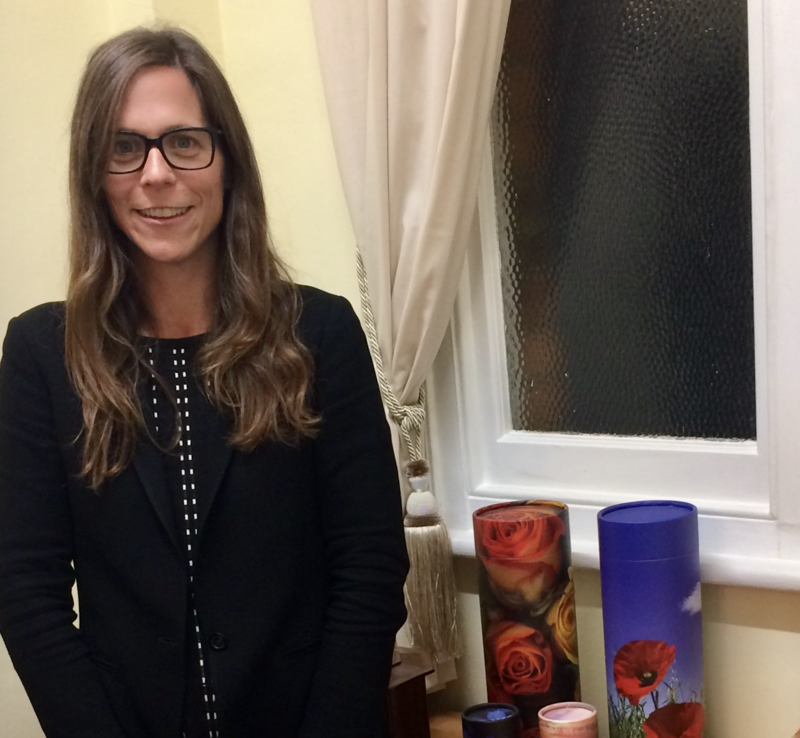 Sophie has been looking after the families at Lodge Brothers Weybridge since completing her training, and has helped arrange a wide variety of funerals within the local area. Sophie is also a resident of Surrey and this local knowledge and experience is what we have been searching for to continue the high standards previously experienced by clients of Lodge Brothers and Boutell in Byfleet. Sophie felt privileged to be given the opportunity to join and run the Byfleet branch. Unlike other non-family owned businesses, we are not dictated to by outside ownership or shareholders, we can help each family make their loved one’s funeral special and unique to them, as we are not constrained to what we can offer and how much time we can give in supporting them in every detail. Part of Sophie’s role is to assist in helping people who wish to pre-plan their own funerals – something which has become increasingly popular, where the arrangements are made in as much detail as a person wishes, and then the money is placed into Lodge Brothers own Funeral Plan Trust to safeguard it against future price increases. Sophie is available to discuss your needs Monday to Friday and can be contacted on 01932 345037.